Support food security locally and globally! 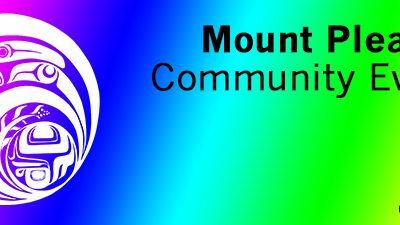 35% of the purchase price supports neighbours of all walks of life—from 40+ countries, many First Nations, and all generations at Mount Pleasant Neighbourhood House. 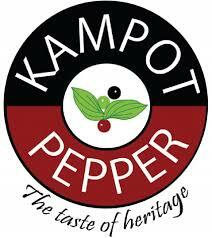 Buy Kampot pepper at our House today! 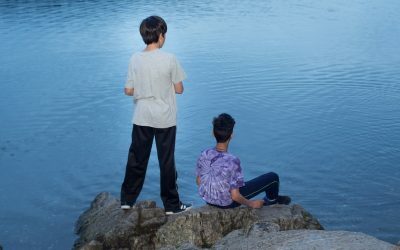 2019 onward By returning to the production levels of the 1960’s, Fair Trade community partnerships can increase the GDP of the region by more than one third, while raising millions for good causes. Pepper is considered the king of spice and for centuries was referred to as black gold. In the Middle Ages, pepper was worth more than gold by weight, and peppercorns were actually used as a form of currency. Kampot pepper, long known as the best pepper in the world, is grown in the adjacent provinces of Kampot and Kep in southern Cambodia. 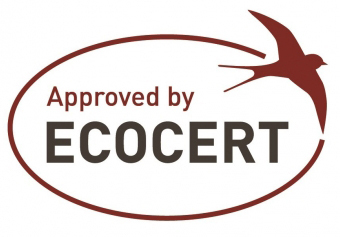 Kampot Pepper has been awarded the coveted designation of Protected Geographical Indication by the World Intellectual Property Organization and the European Union. This puts Kampot pepper in the same league as Champgne, Darjeeling tea, cognac, and other gourmet delights. The mountainous terrain near the sea, the right amount of rainfall and quartz in the soil combine to make Kampot pepper the King of Kings. The first mention of Kampot pepper was in the 13th century when Chinese diplomat, Zhou Daguan visited the Angkor Empire. In the 1960’s Kampot was producing 3,000 tons a year. During the tragic Khmer Rouge (Pol Pot) regime, the pepper farms were all but destroyed. Kampot pepper is coming back and achieving international acclaim. Last year they produced 70 tons—a long way from the production levels achieved before the Cambodian genocide, but it is growing. 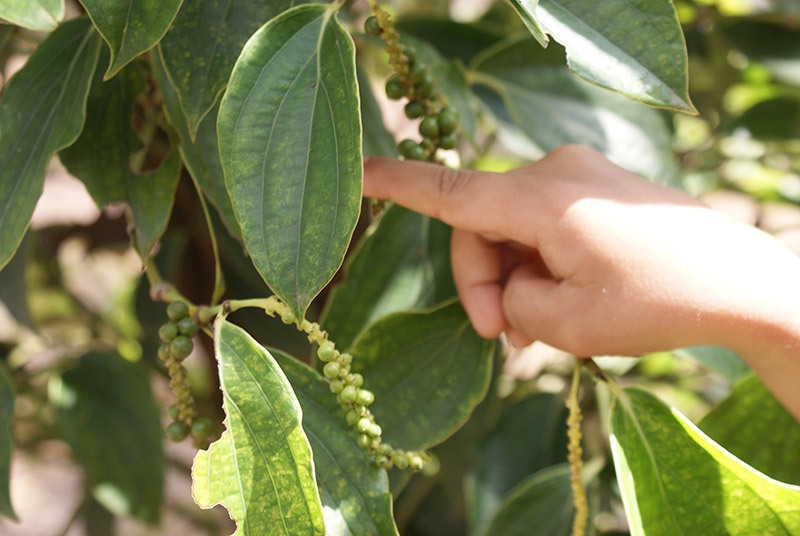 Kampot pepper comes in four varieties: green, black, red and white, all from the same plant (Piper nigrum). When the fruit begins to ripen and turn red the green fruit is havested and sun dried to produce the black peppercorn. The red fruit is left on the vine for four more months to create the delicously sweet red peppercorn. 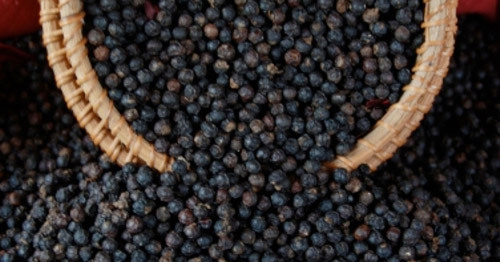 The white peppercorns are produced by soaking the red peppercorns in a brine, then sundried and hand rubbed to remove the outer skin producing the most rare and delicate pepper on earth. If you haven’t tasted Kampot pepper, you are in for a treat.